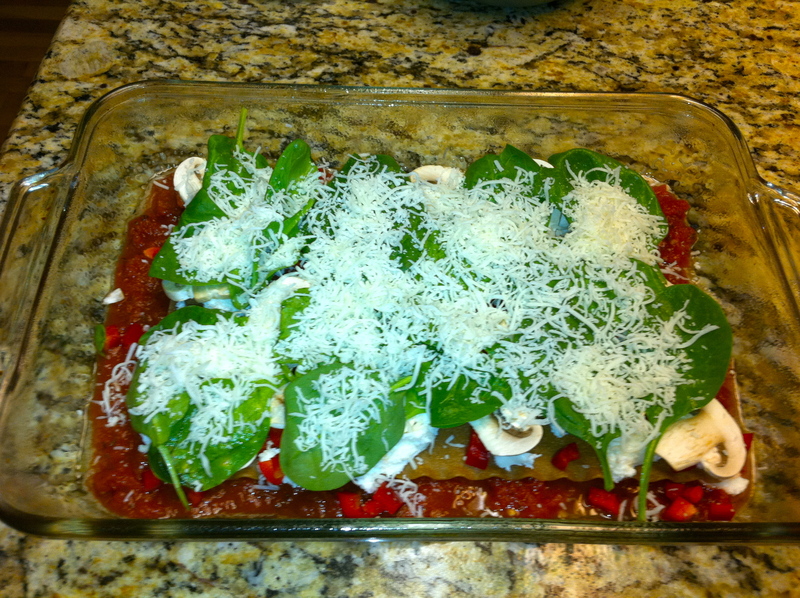 My quest last weekend was to find or create a great vegetarian lasagna recipe. Our company is volunteering at Ronald McDonald House next week making dinner for the residents. We decided we should provide a vegetarian option for those who want it. 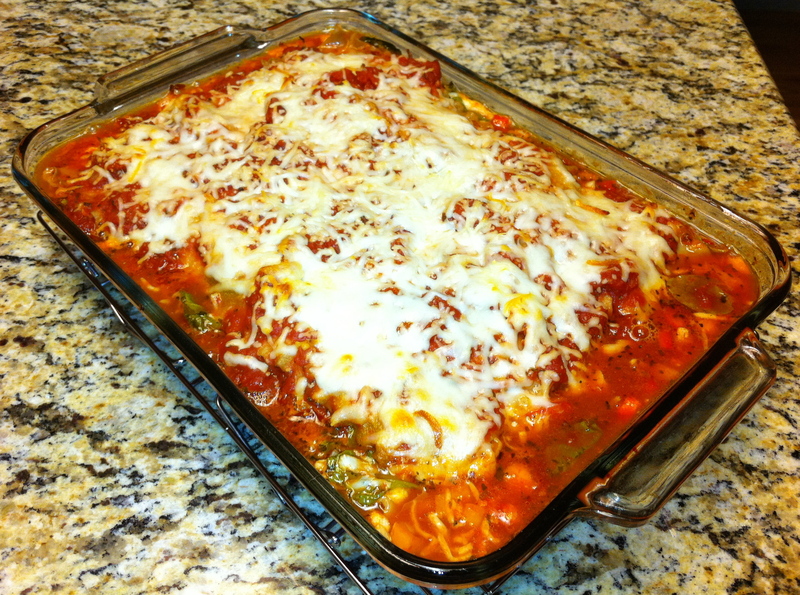 So I set out in search of a good vegetarian lasagna recipe. I wanted something more that just noodles and cheese, but I wasn’t sure what would happen if I added a lot of veggies to it without cooking them down first. It took me a couple of attempts to perfect it. The first time I made it it was a little watery. But the end result is delish. The beauty of this recipe is that it is super-easy. There is no need to cook the noodles ahead. Just throw them in with everything else. I put in lots of sauce and the veggies cooking down seemed to provide enough moisture to effectively cook them. 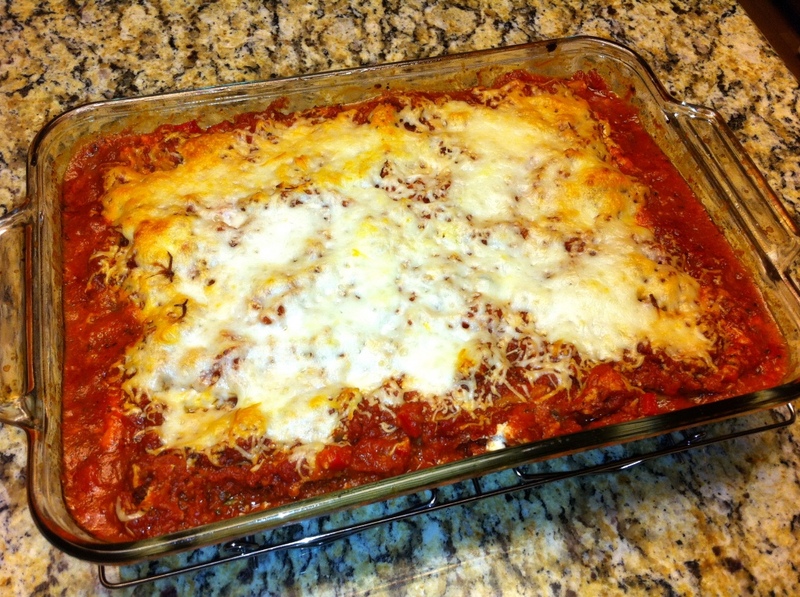 I think I have discovered a new family-favorite, quick, easy, delicious and filling. I hope you like it too! If you find a way to make it even better do let me know! Preheat oven to 350 degrees. Spray a 9 x 13 inch pan with non-stick spray. 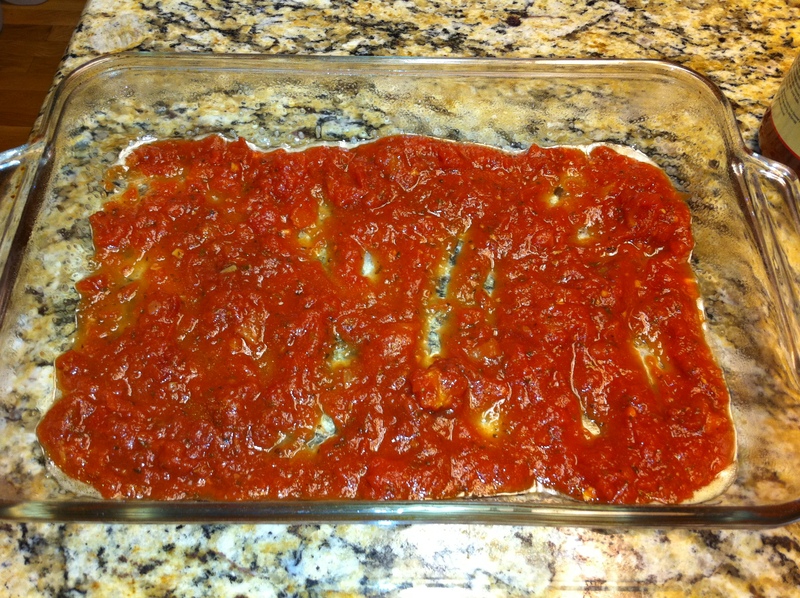 Spread marinara sauce over bottom of pan. Then place dry noodles, ricotta, peppers, mushrooms, baby spinach, mozzarella cheese. 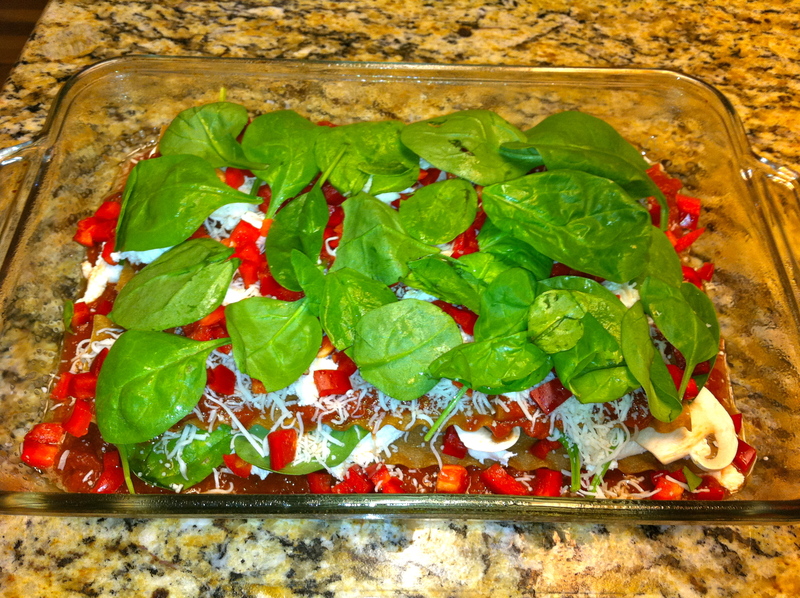 Then place another layer of noodles, followed by sauce, ricotta, mozzarella, peppers, spinach. 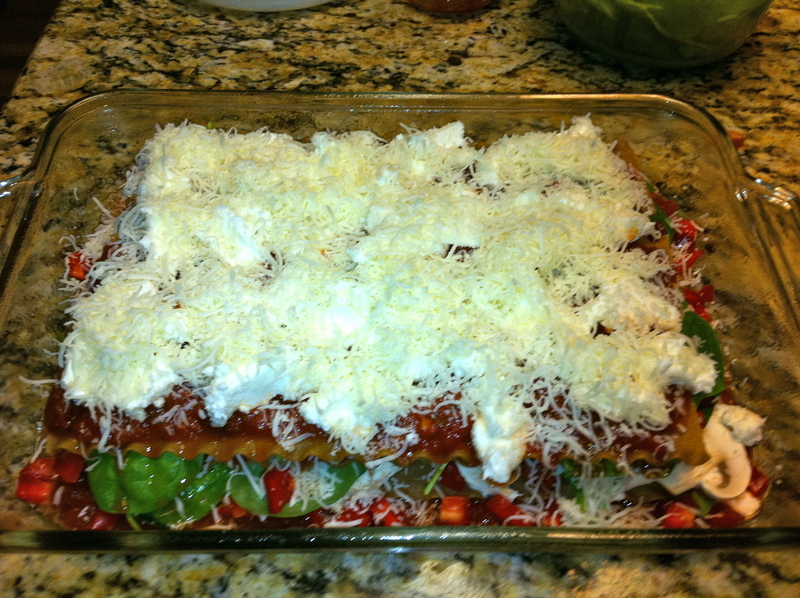 Place a third layer of noodles followed by sauce, ricotta, mozzarella. 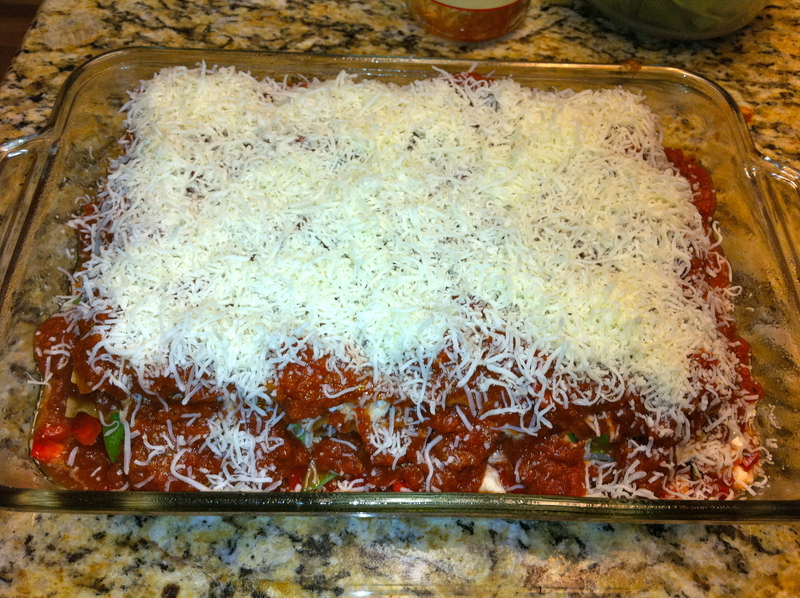 Place a final layer of noodles followed by sauce and mozzarella cheese. Spray a piece of tin foil with non-stick spray Place the tinfoil over the pan and bake for 45 minutes. Remove foil and cook for an additional 15 minutes. Serve with Caesar salad and crusty bread!